Having spent countless hours with maintenance professionals discussing their processes, we came to a realization recently. Managing compliance is nothing more than preventive maintenance (PM) and/or predictive maintenance (PdM) combined with the associated corrective maintenance and reports to satisfy the needs of the governing body. On the extreme side, Underground Storage Tanks (UST) require leak detection, spill prevention, corrosion protection and other systems to be maintained and inspected to maintain the appropriate licensing. On the other (extreme?) side, your boss wants you to provide a specific work order report every month or week or however frequently your boss thinks it’s necessary. The point is, whether you are maintaining compliance with the EPA or your boss it’s all a matter of tasks to be completed on a specific frequency and showing the results. Some of these tasks are specified as “periodically” in state/federal guidelines but this gives us an idea of what maintaining a UST system might look like. 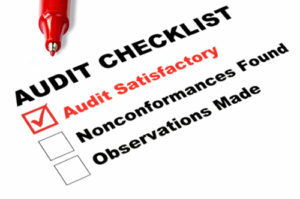 Our typical customer manages these UST compliance inspections in one of four ways. These methods are typical of almost all routine checks and maintenance, and we are not including the paper and pencil method, as we hope you have graduated to spreadsheets by now. Some haven’t, and that’s okay. These include maintaining a spreadsheet, outsourcing, monitoring systems and compliance software. Method 1: The most popular method is to track the results of the inspections and test on a spreadsheet. The usual response when asked about this method is that it satisfies the inspectors but the reality is that it is far from perfect and inspections always come with a nervous stomach. Method 2: The next method is outsourcing. Outsourcing is expensive but it shifts much of the liability to the third party company and saves time, but not money. Method 3: The third is to rely on automated systems to do the bulk of the work. The results are then exported into Excel® and messaged along with other inspection results to produce the needed reports. Method 4: The final method is the use a compliance software system. These systems assist in the job of gathering needed information, from various sources, and providing the needed results. There is a better, and easier, way to maintain compliance and gather the needed data and produce reports. Use your maintenance management system to create the PMs needed to stay within compliance. The PMs are completed and the associated corrective maintenance can be tracked as well. In addition, any automation can be utilized by integrating with the maintenance software. For example, you may have a line test run monthly. Many of these tests will fail for valid reasons. Integration would include a PM being generated monthly for each UST. When a test is passed, the PM for that month would be complete, and with a good maintenance management software the PM will stop generating. A few days before the end of the month you can see what PMs have not passed and, if necessary, investigate. In addition to reliably and accurately maintaining your compliance requirements, you get the added benefit of tracking costs, maintaining warrantees and forecasting information for your capital planning needs. All by simply doing your maintenance duties each day. It may be called compliance, but really, it’s still maintenance.